A thorough introduction to Data Science concepts and techniques. 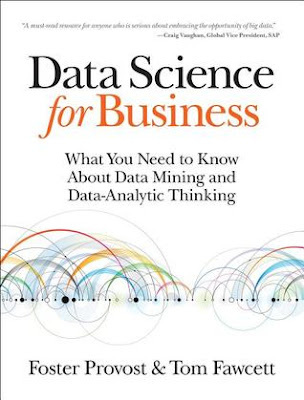 While this book, as the name implies, targets business professionals mainly, I personally think it is best to read it after [or while] getting your hands dirty with data science problems or taking an online course to establish a technical foundation first -- it depends on your background. I did this and I found it more relevant this way. Good choice of real-world everyday business cases to keep things in context and illustrate the practical value of understanding Data Science. It is also useful to understand important terms in the field of Data Science, and this book does a great job bridging the "language barrier" between tech and business; which is very crucial for people who work at that intersection. I found the sections about making data-driven decisions and using data science to drive strategy especially interesting. I like how practical, not-so-deep not-so-shallow this book is, and I recommend it!